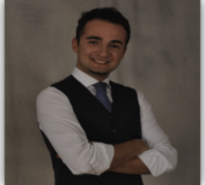 ANDREA SILENZI is General Secretary of the Italian Society of Medical Manager (SIMM) and Vice President of the Italian Association Young Doctors (SIGM). He is specialized in Hygiene and Preventive Medicine and he is actively involved in the projects of the Institute of Public Health of Università Cattolica del Sacro Cuore in Rome. Since 2011 collaborates in projects of Population Medicine and Healthcare Population to the Research Center “Better Value Health Care” in Oxford, directed and inspired by the work of Professor Sir Muir Gray. Since 2011 collaborates as coordinator in the National Observatory on Health in the Italian Regions, which has in the “Osservasalute” report its most important work, because it describes the annual health and habits of the citizens as well as the sustainability and performance of Regional Health Services. He is the author of scientific papers and research papers presented at national and international conferences on the topics of organization and management of health, medical leadership and governance, health policies, comparison of health systems, global health, medical education, health technology assessment, health and web 2.0.